Albert Lagrange was born on 7 March 1855 in Bourg-en-Bresse, in the Ain department of France. He obtained his doctorate in law before entering the Dominicans of the province of Toulouse, where he received the name Brother Marie-Joseph. That was in 1879, and in 1883 Marie-Joseph would be ordained a priest. As professor of Church history and Holy Scripture, he was sent to the University of Vienna (Austria) to improve his knowledge of Oriental languages. There he received, on 5 February 1889, the order to leave for Jerusalem. He immediately sketched out a program and, on 15 November 1890 in a former Turkish abattoir where rings were still hanging up for the animals, he opened what he called the École Pratique d’Études Bibliques (Practical School of Biblical Studies). Father Lagrange was not idle: he founded of the École biblique in 1890, the Revue Biblique in 1892, the series Études biblique in 1898, and developed archaeological research. All these “creations” become references points which put the École in contact with academics all over the world. It is from his lectures on the “historical method”, given in 1902 in Toulouse, that we can date the beginnings of the difficultiesFather Lagrange encountered as part of what would later be called the Modernist crisis. Father Lagrange adhered to the encyclical Providentissimus Deus of Pope Leo XIII wich invited research to solve the difficulties raised by the rationalist analysis of the Bible by an exegesis that would be simultaneously traditional and progressive. But Lagrange’s scientific method was repugnant to some, and while he worked hard to refute those who questioned the essential data of the Christian faith, he was censured and in 1912 had to leave Jerusalem for a year . Throughout this period of suspicion, which would last almost until the 1930s, and which would lead him among other things to give up on publishing his commentary on Genesis, and to accept the years’s exile in 1912, Father Lagrange always retained an absolute fidelity to the Church. In the aftermath of the Encyclical Divino Afflante Spiritu (1943) and the Second World War, Father Lagrange’s work and character were henceforth recognized as exemplary. Aged 83, Marie-Joseph Lagrange died on 10 March 1938 in Saint-Maximin, to where his poor health had forced him to return in 1935. His remains were buried in the conventual cemetery and then transported to Jerusalem and buried in the Basilica of St. Stephen, where they now rest. 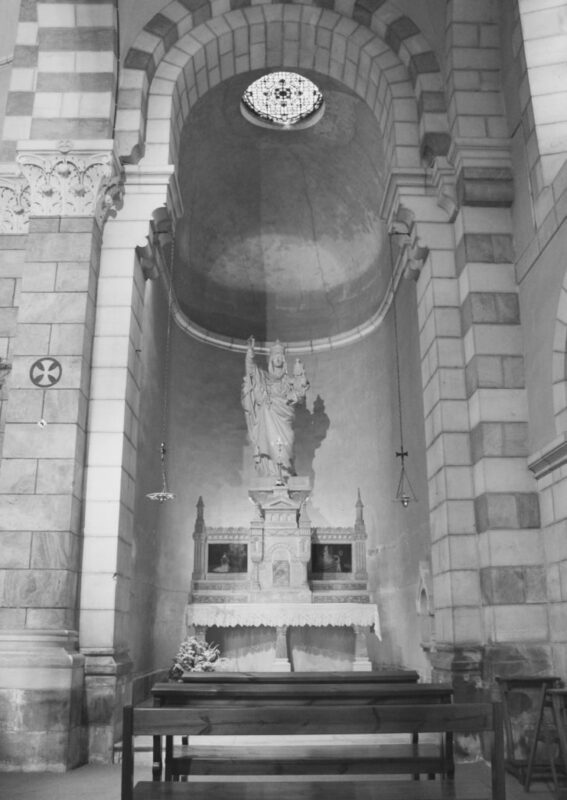 His body was translated to the choir of St. Stephen’s Basilica in November 1967. His cause for beatification was opened in 1988, and it is hoped that a recognized miracle will finally see him raides to the altars. 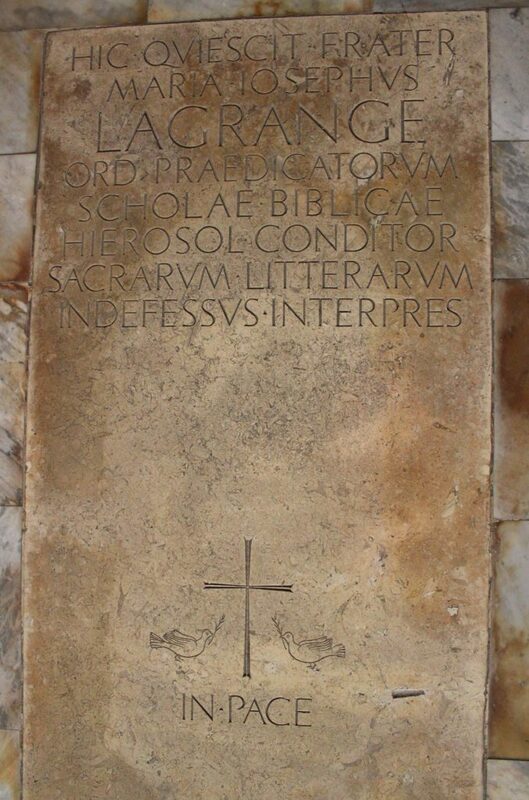 Discover the Website dedicated to Father Lagrange.